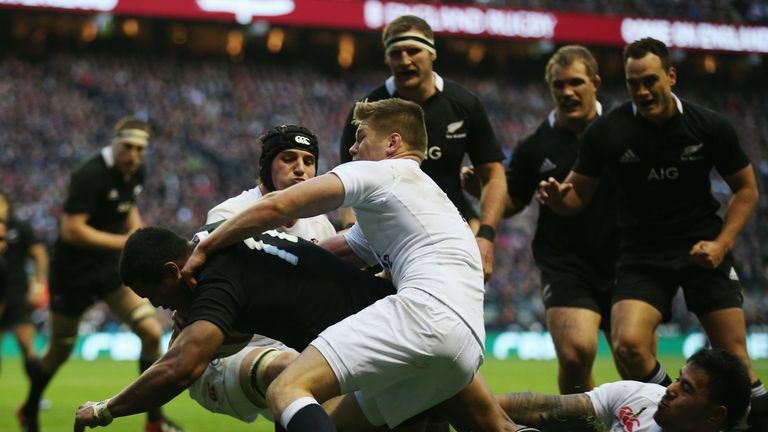 Will Maro Itoje and England pull off a surprise victory over Kieran Read and co? 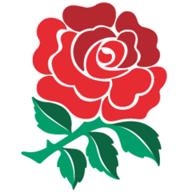 After narrowly beating South Africa last week, England host New Zealand at Twickenham on Saturday in the first meeting between the nations for four years. The All Blacks have only lost five games from 52 Tests in that time, and none have come in Europe. Indeed their last defeat in this part of the world came against England at Twickenham back in 2012. The headline team news from England's Thursday squad announcement was the inclusion of Chris Ashton for his first start in England colours since June 2014 - a game where he actually faced the All Blacks in Hamilton. The 31-year-old will start Saturday's Test on the wing as Jack Nowell drops to the bench, Elliot Daly remains in situ at full-back and Jonny May is picked on the wing again. Having moved back to England and the Sale Sharks in the summer to make himself eligible for Test selection once more, Ashton would have targeted occasions such as this weekend. Last season his form was sensational as he broke all records in the Top 14 with Toulon, notching 24 league tries from 23 games. His running and tracking lines are up there with the best in the world, with his finishing lethal too. The All Blacks will know: give him a sniff and he'll score. If the headline inclusion is Ashton, then the headline omission is the absence of Manu Tuilagi. For almost the entirety of the build-up to this game, the Leicester Tigers centre has been widely earmarked as a key man for Saturday's fixture. The thinking behind it has been that to beat the All Blacks, you need something a bit different. Back in 2012, the performance of Tuilagi in all his power, energy and intensity at Twickenham proved the point of difference as the home side registered a sensational 38-21 victory. Tuilagi has yet to return to the height of his form that day after a glut of injuries, with Jones commenting at his Pennyhill Park press conference the centre was "99.9 per cent there, but not quite right". It's a real shame we won't get to see him unleashed this weekend. When Tom Curry limped off with an ankle injury against the Springboks last week, it became immediately apparent that Jones would have to draft somebody else in on the openside. 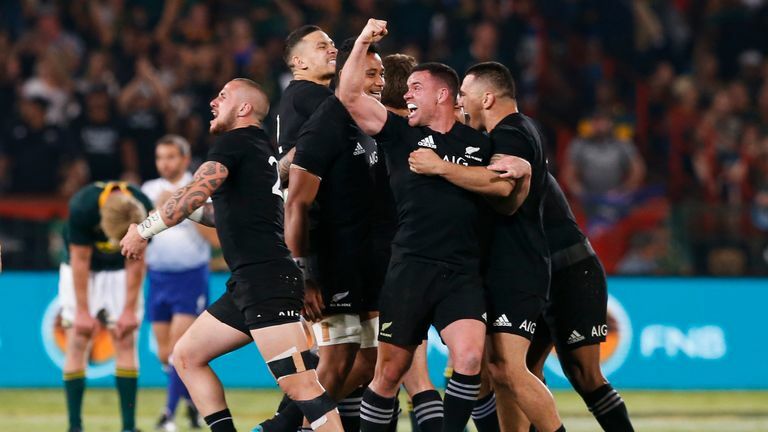 The breakdown is a pivotal facet to the game in almost every Test these days, but to succeed against the All Blacks, teams must be ruthlessly efficient in this area. As such, a natural openside flanker is a necessity. It's a position that has plagued England over the last few years, with nobody quite nailing down the seven shirt. On Saturday, Bath's Sam Underhill will be in from the start. The 22-year-old has six caps to date, the last of which came at Murrayfield against Scotland in February, while his last start came a year ago against Australia at Twickenham. As Eddie Jones pointed out to Sky Sports on Thursday, Saturday's referee Jerome Garces usually allows more of a contest at the breakdown. This is an area England will hope Underhill can excel in. A combination of Underhill's selection and Courtney Lawes' return to fitness means the desperately unlucky Zach Mercer misses out on the 23-man squad. Mercer is perhaps the biggest loser to come out of Thursday's team announcement, after his positive impact against the Boks last weekend. The All Blacks team named by Steve Hansen contains quality throughout, but it's the second row where they look particularly striking. Outstanding lock Brodie Retallick is back in the team for his first start since September after a shoulder injury, and joins 106-cap Sam Whitelock. The pair are perhaps the greatest second-row combination in the history of the sport. Retallick is a playmaker in the body of a tight-forward, while both he and Whitelock are intensely physical, astute lineout technicians and have deceptive turns of pace. Back in September 2017, they became the most capped All Black second row combination in history, passing out the previous record of 45 held by Ian Jones and Robin Brooke. Currently, they sit on 48 Test starts together. On just six occasions from those 48 Tests have Retallick and Whitelock not tasted victory - three draws and three defeats. New Zealand are on the verge of creating yet another piece of history this weekend, as they could become the first team ever to score four or more tries for 13 consecutive games. Last week's 69-31 win over Japan in Tokyo marked their 12th straight game in which four or more tries were notched - a total which stands as the current record they set back in 2016. The start of their current run began in November 2017 as they scored five tries against Wales. Thereafter they scored eight, seven and four tries in three June Tests with France, six tries in their first four Rugby Championship games against Australia (twice), Argentina and South Africa (in defeat), five tries as they won in Argentina and four as they won in Pretoria. Five more tries came against the Wallabies in Japan for Bledisloe III, before the All Blacks plundered in 10 tries against the Blossoms. Curiously, Namibia could also set the new record of 13 games before New Zealand kick off as they face Russia before the action at Twickenham! England: 15 Elliot Daly, 14 Chris Ashton, 13 Henry Slade, 12 Ben Te'o, 11 Jonny May, 10 Owen Farrell (co-capt), 9 Ben Youngs; 1 Ben Moon, 2 Dylan Hartley (co-capt), 3 Kyle Sinckler, 4 Maro Itoje, 5 George Kruis, 6 Brad Shields, 7 Sam Underhill, 8 Mark Wilson. 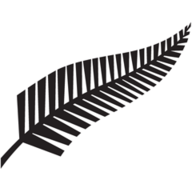 New Zealand: 15 Damian McKenzie, 14 Ben Smith, 13 Jack Goodhue, 12 Sonny Bill Williams, 11 Rieko Ioane, 10 Beauden Barrett, 9 Aaron Smith, 1 Karl Tu'inukuafe, 2 Codie Taylor, 3 Owen Franks, 4 Sam Whitelock, 5 Brodie Retallick, 6 Liam Squire, 7 Ardie Savea, 8 Kieran Read (c). Replacements: 16 Dane Coles, 17 Ofa Tu'ungafasi, 18 Nepo Laulala, 19 Scott Barrett, 20 Matt Todd, 21 TJ Perenara, 22 Richie Mo'unga, 23 Ryan Crotty.